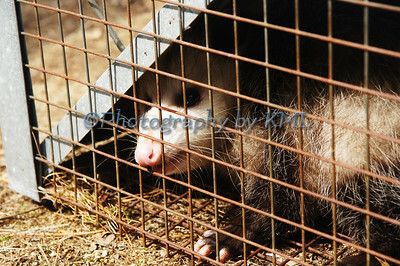 A couple of weeks ago, my "J" post featured a critter in "jail"
At that time, he was the second Opossum that we had caught in our have-a-heart trap. We gave him a new home a couple miles away also. Since that post, we have caught two more of these creatures. Thinking that they were returning, we squirted a small spot of paint on the third one's rear haunch. The fourth one was not the painted one, so we put a different color on him. Well, I still hear another one under the house. Can't wait to see if he has any paint on him once we catch him. If this keeps up, there is going to be a whole family of rainbow opossums living a few miles down the road! This is the tenth round of ABC Wednesday. If you would like to join in please visit this site for the details. Nature is my favorite subject to photograph. Well, I do enjoy chasing after my grandson with my camera, but those photos aren't the ones other people are interested in buying as artwork. Mother Nature though, provides the most beautiful scenes - even the same place won't be the same twice. Different views, angles, and lighting conditions play into the subjects all the time. I don't have the gorgeous sunsets on the ocean, or the majestic views from the mountain tops. I like to move into my subjects and catch the common things in a different way. Mother Nature provides the beauty for all of us artists and we each show it in our own way. It looks so smooth and really neat from a distance. This green moss all laying so perfectly spread out on the rocks. But is is quite deceiving. 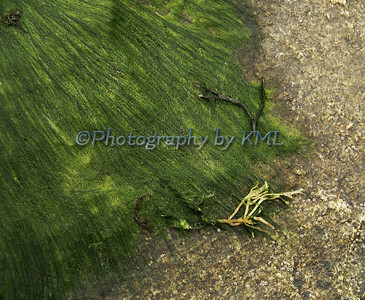 The color is gorgeous - the light and dark greens give it such depth and texture. Just don't step on it. It is worse than any ice that I have been on. There is no standing on this stuff it is so slippery. Admiring it from the edges is the only way to safely view it. Easter has always meant the beginning of spring for me. This is the time of the year when most of the snow is gone, and one can feel the warmth of the sun as the days get longer. We have had an early spring this year which is making this a greener than usual Easter. No matter how you celebrate this day, enjoy this harbinger of spring as we begin another approach to what comes next - summer! 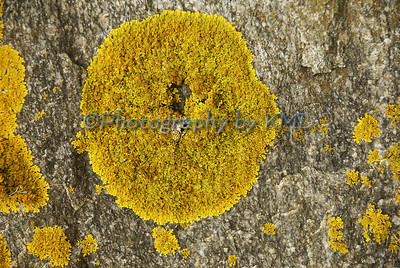 This yellow lichen was all over the granite foundation of the old fort beside the ocean. Most of it was sporadic - here and there and in no particular shape. This one stood out from the rest. A circle with a bulls-eye. 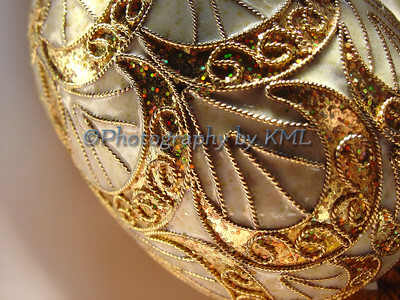 It really is quite intricate when you get close up to it. The day was overcast, so I had very little light to capture this specimen any closer. Mother Nature has such beauty - even in the the things that don't quite seem it from a distance.